Soapbox is an International bespoke, high-end fashion label for little girls who have no limitations, preconceptions and who want to stand out from the crowd. From design, through to production and finishing, each design created is hand-crafted, boasting exceptional quality and craftsmanship in the hope of capturing the spirit, freedom and innocence of childhood. 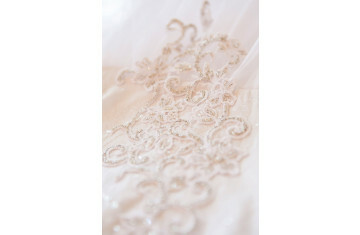 Driven by an appreciation for perfection, each luxury and exclusive design is easily recognisable by an unwavering attention to detail, which can be seen in signature, hand-made embellishments, from textured fabric flowers to encrusted beadwork to delicate, layered tulle. Soapbox hopes to enrich and inspire the imaginations and personalities of those who wear it to come alive and to dare them to dream. The Soapbox Kids USA Agency is based in Dallas, Texas, and can be contacted on the details provided on the Contact Us page. Soapbox Kids is available for Wholesale in South Africa, the USA, Canada and Europe. Designing bespoke high fashion garments, Soapbox aspires to deliver only the best for little girls who have no limitations and preconceptions. The label speaks to the heart of mothers and daughters, young girls who provide a blank canvas, are open to influence, new ideas and creativity. The craftsmanship and attention to detail set the label apart from anything else in its marketplace, with a price point to match. 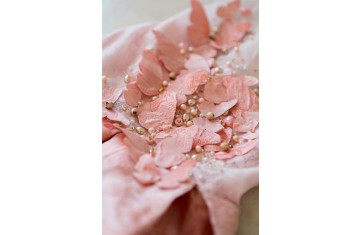 There is no mass production and every single dress is handcrafted using luxury materials. Although, Soapbox is a special occasion label, each garment is designed with a high fashion mind-set. There is a definite inspiration and story behind each Soapbox collection, a story that both moms and daughters can identify with and this resonates throughout, from the name of each garment to detailed research around trend forecasts, colour trends, fabric choices and packaging. This range features exclusive design, extraordinary craftsmanship and attention to detail with a price point that is accessible to most of the Soapbox target market. 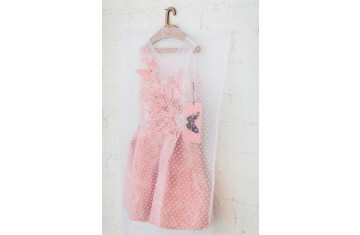 Suited for everyday fancy and formal attire this range will make every little girl stand on a Soapbox. This range is exquisite and delicate, boasting the extraordinary Soapbox craftsmanship and attention to detail these garments retail at a higher price point. Suited for special occasions, this range offers timeless luxury and elegance in design with more intricate detailing than the Soapbox Collection. This range truly encapsulates what the Soapbox brand stands for. These work-of-art, statement garments are showpieces of high-end children’s couture and their immaculate perfection can be seen in the elaborate intricate detail, exquisite fabrics and on-trend designs. With only a few of these garments in each collection, this range truly speaks to exclusivity and an unparalleled elegance made only for a chosen few. As a brand, Soapbox would like to empower and invest in women on the African continent. Research has shown that empowering women brings long-term positive change and prosperity to communities. As a fashion business in a third world country, Soapbox hopes to create a strong social impact by empowering the women behind the exquisite Soapbox garments, supporting them through economic empowerment and education to showcase the raw talent that the continent of Africa has within it. Kristin Masters is a South African fashion designer, best known for her impeccable attention to detail, hand-dyed fabrics and one-of-a-kind finishing techniques. her work, represents silhouette and design lines that are neat, simple and clean with intricate handcrafted details, coupled with exquisite textures and unique colours that will create the perfect balance between femininity and edgy lines. After completing a degree in Fashion Design, her natural ability to construct garments earned her numerous awards and an offer of an internship with Ellie Saab in New York, but due to a fully functional bridal label, Garnish and designing over 200 bridal gowns a year, she had to turn down the opportunity. After 14 successful years in the bridal industry, experience, personal growth and motherhood shifted Kristin’s focus to enter the exciting world of kids’ fashion and her second label, a bespoke high-end fashion label for little girls, Soapbox launched in 2014. Though very demanding, Kristin still believes in being very hands-on as she still oversees the design of each and every garment for both, Garnish and Soapbox, currently servicing clients from all over Africa and the rest of the world.